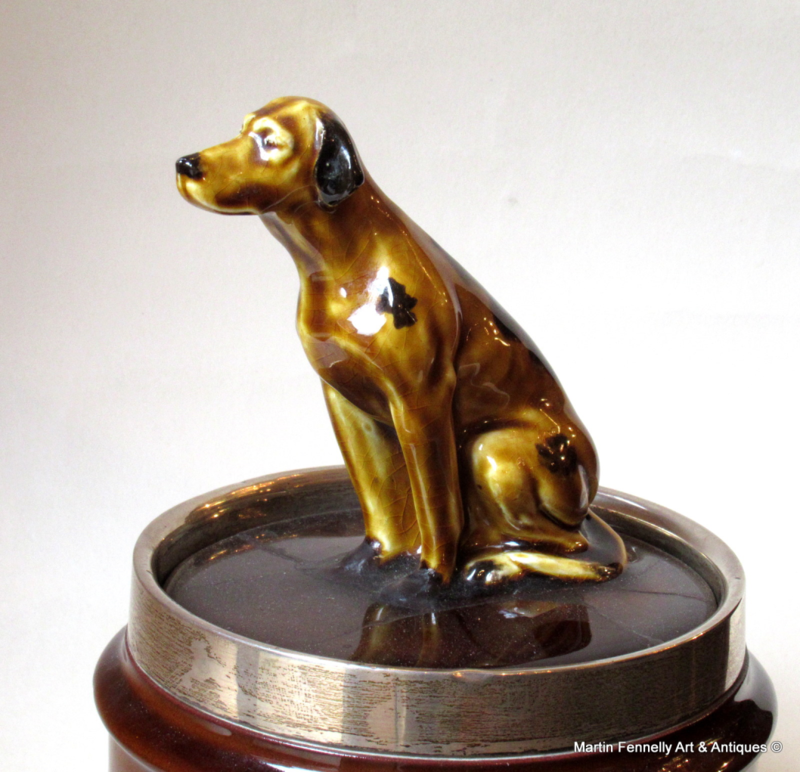 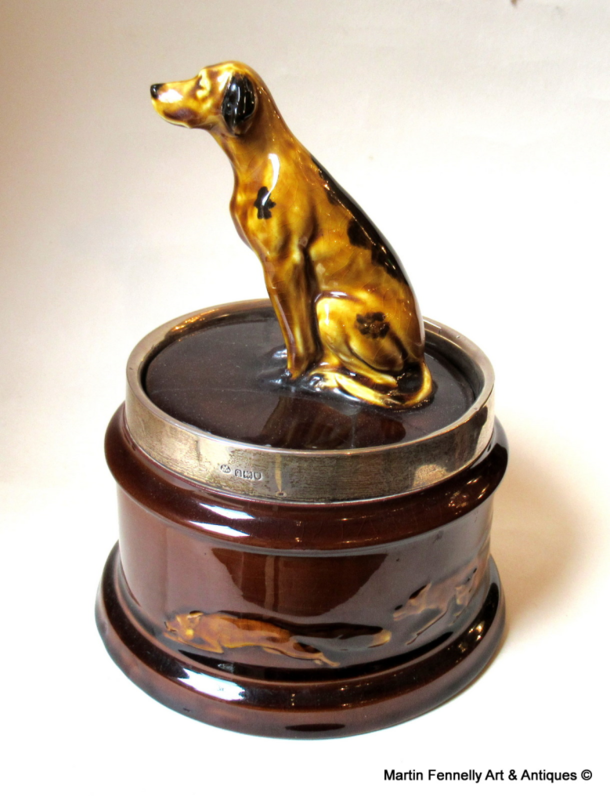 This is a rare Royal Doulton Lidded Tobacco Jar which has a solid Silver Collar with the famed Charles Boyton and Sons of Upper Charles Street, London Assay marks which date the Silver to 1911. 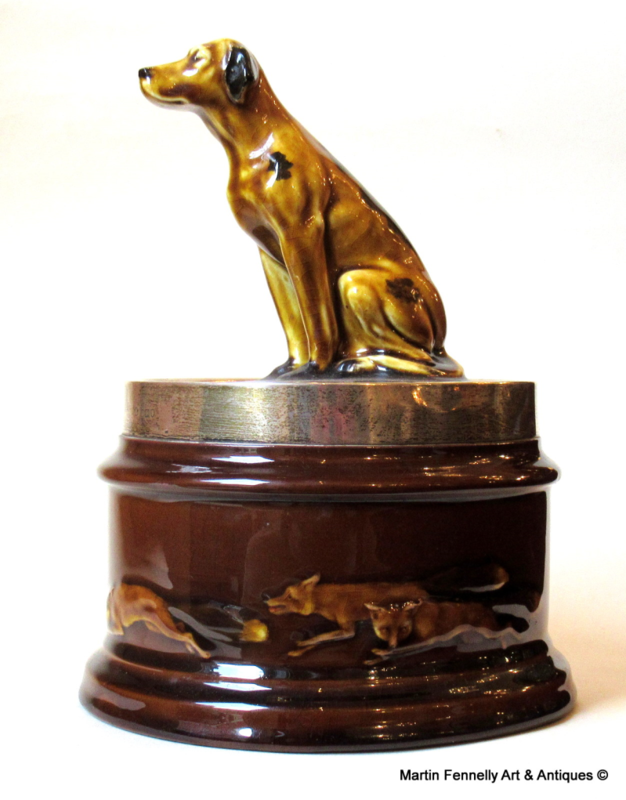 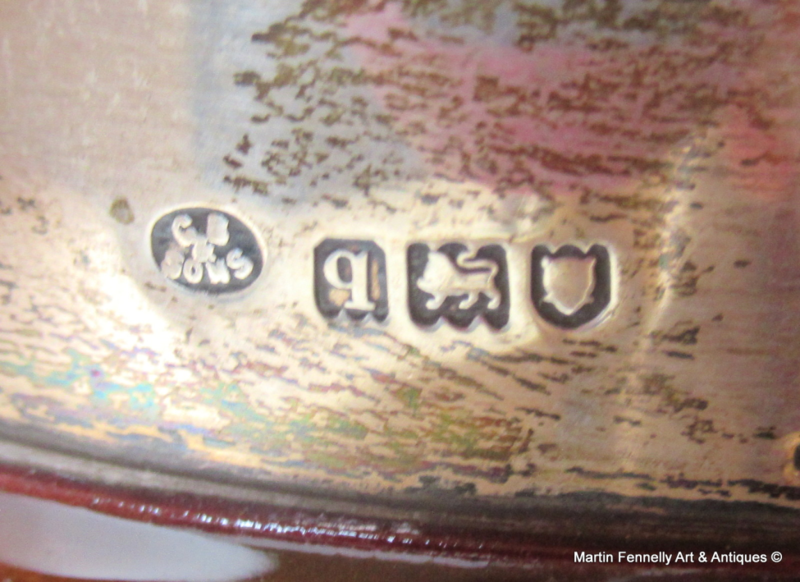 The Theme is Hunting as the Hound stands proud with the foxes fleeing around the sides and this particular theme on these jars is rare and even rarer to have the famed Silversmith , Charles Boyton Silver on this piece. 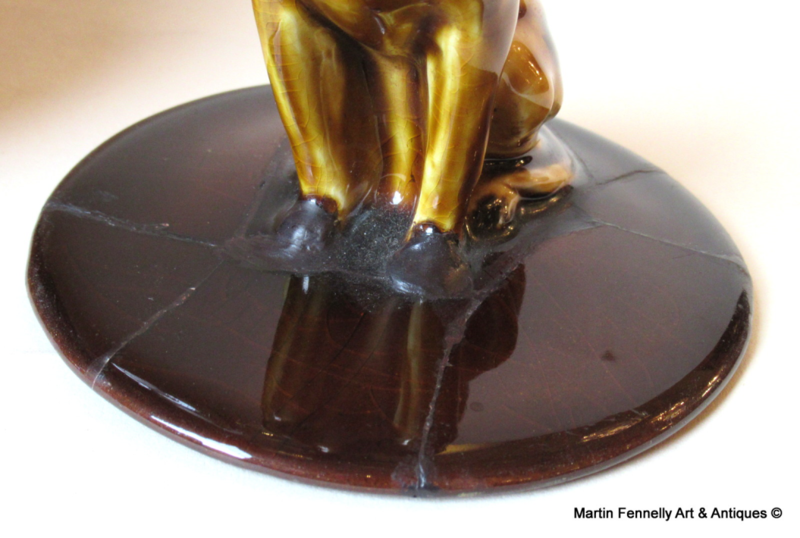 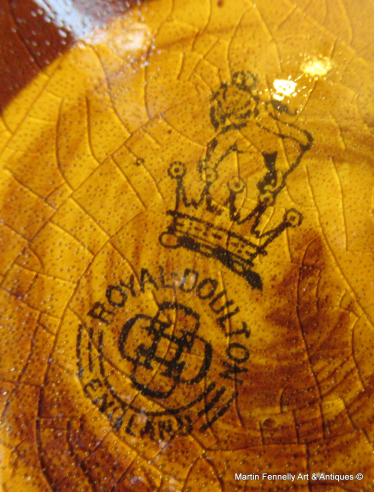 These early Royal Doulton pieces are very collectable and the condition is good but for repair work on lid - see final picture.